The masseter muscles on each side of the face, the muscles used in chewing, are attached to the zygomatic arch and the mandible. Positioned as they are on the face, they play a role in a person’s appearance. With hypertrophy or cosmetic alterations, this can lead to a square front-on appearance of the jawline instead of a more youthful appearing V-shape from the chin. Botox®, known to inhibit transmission between peripheral nerves and muscle, has been proven safe and effective in aesthetic concerns visibly intensified by the muscle contractions of the masseters1. Is it an approved or off-label use? Currently, Botox is off-label for cosmetic jaw sculpting via masseter injections. However, Botox is used extensively for its labeled cosmetic and medical indications as well as for its off-label indications. When and where was the procedure first used? In 1992, the first report2 on using botulinum toxin for cosmetic indications was published, although it had already been used successfully for muscle spasms of eye muscles (1980), cervical dystonia (1985), and facial spasms (1987). In 2013, clinical trials of masseter injections with Botox began. The American Society of Plastic Surgeons documents that Botox injection treatment is the most frequently performed minimally invasive cosmetic procedure, with over 6.7 million procedures (2015)3. In 2017 it is up to 7.2 million procedures using Botox and rising. Why should you promote it more in your clinic? Any physician should give this concierge service serious consideration for his or her own practice, especially since you need not be a plastic surgeon to be authorized to perform it depending on your local legislations. With cost containment continuing to whittle down net income via increased overhead burdens and diminished reimbursements, cosmetic procedures have come to the rescue of the bottom line: they are on that portion of the Venn diagram which doesn’t overlap insurance coverage, insurers’ prior authorizations, or 3rd-party payers. Also, the financial impact of any added malpractice premiums is negligible because the complication rates are so low. Where in the United States is it more common? Botox treatment has exploded into the mainstream, no longer a cliché of living “the beautiful life” in Los Angeles, Chicago, New York, or any other cosmopolitan areas. Today, it’s everywhere. 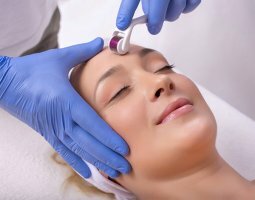 Most dermatologists offer it as “cosmetic dermatology,” and all plastic surgeons offer it through their aesthetician services. However, any physician can be authorized to use Botox, so it is available in all large, medium-sized, and even small cities and communities. Botox treatment is not vanity. That negative judgement has long died since the 1980s when plastic surgery came into vogue. The conventional wisdom is that anything that makes you feel better about yourself is good for your mental health, and what’s good for your mental health is good for your physical health. Therefore, anyone who feels improvement in his or her appearance is only a simple office procedure away is an appropriate candidate. Are there any statistics indicating who the target patient may be? Recent statistics from the American Academy of Plastic Surgeons show that people aged 40 to 54 are the majority of Botox patients, followed by people aged 55 and older, then patients aged 30 to 39, and those aged 20 to 29. As well, 92% of the patients are women. How do most doctors conclude this is a good procedure for a patient? “Above all, do no harm,” is the doctor’s mantra. Beyond that, any procedure that makes a person feel better contributes to the overall quality of life, which is the standard by which all practice of medicine is deemed successful. Due to its flexibility as a treatment, doctors will have to determine the suitability of this treatment on an individual basis. This will depend on the patient’s needs, expectations, and several other factors. How profitable can it be for a practice? Samuel Catanese of Healthcare News reports, “…in today’s medical practices, (overhead) is actually between 60% and 70% of charges.” This is a percentage of charges when what is actually collected is a percentage of that. With the delivery system of physician extenders and office personnel already financially absorbed into the budget, adding profit from the markup on Botox comes into your practice as pure revenue without any additional capital outlay other than your cost for the medication. According to Dr. Elizabeth Kinsley, a New Orleans-based (Covington) plastic surgeon, the patient cost is about $600 US for the masseter muscle injections. In the UK, the cost for both cheek sides is between £395 to £450. While in Australia, pricing starts at about $440 AU. The procedure is simple, involving simple injections into the masseter muscles. According to Dr. Kinsley, the area is aseptically prepared with just an alcohol sponge, and then the injections are placed superficially throughout the muscles. A 30G needle makes any discomfort negligible. Next, the patient goes home or back to work with no downtime. Dosing depends on the anatomy, but generally most cases can be done with 20–25 units each side, for a total of 40–50 units. Rarely, swelling or bruising at the injection site, mild headache, or flu-like symptoms—if they occur at all—are usually mild and temporary. Even with the rare, more involved complications like muscle dysfunction and weakness (trouble chewing) and facial expression changes (flaccid cheek), the best aspect of any undesirable effects is that Botox wears off. The serious side effects are usually due to lack of training for the doctor, as those adequately trained rarely if ever see them. For the milder side effects of swelling or bruising, cold applications can limit this very quickly. Botox is metabolized over 3–6 months, but most physicians have seen the need for re-injecting can take as long as 6–8 months. The effects are not immediate but begin after a few days, and maximum cosmetic results peak after 2 months. Nevertheless, the expectations are usually fulfilled, narrowing the facial front-on appearance toward the chin, giving a more youthful appearance that can be very pleasing to the patient—enough to have him or her return for maintenance “boosters” that require less Botox. The human face is a person’s calling card. It is the landing place for others’ eyes for recognition and communication. When a person is ready to remedy what is felt could use improvement, he or she will be turning to you. Are you ready? Carruthers JD, Carruthers JA. Treatment of glabellar frown lines with C. botulinum-A exotoxin. J Dermatol Surg Oncol 1992; 18:17.